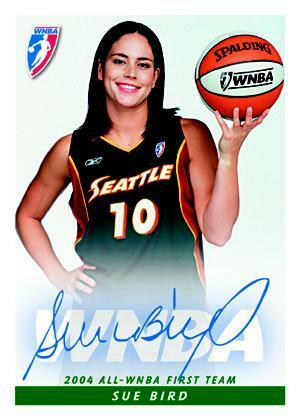 The Women's National Basketball Association and Rittenhouse Archives, a creator of science-fiction and fantasy card sets, will produce and release a wide assortment of WNBA trading cards starting in July 2005. A new WNBA licensee, Rittenhouse's WNBA collection will mark their first set of sports cards ever. 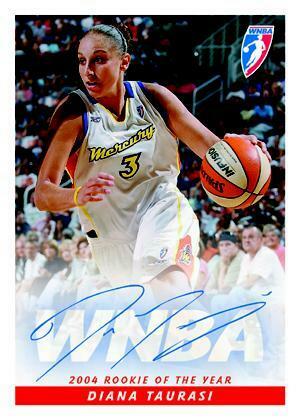 The first set of WNBA trading cards from Rittenhouse Archives will feature more than 120 WNBA player cards and will feature two cards in each box that are signed by WNBA players including 2004 Rookie of the Year Diana Taurasi (Phoenix Mercury), 2004 Most Valuable Player Lisa Leslie (Los Angeles Sparks) and 2004 All-WNBA First Team Sue Bird (Seattle Storm). Limited-edition game-worn cards featuring a piece of a WNBA player's jersey or warm-up and this season's rookies using draft day photos will also be included in select packs. Later in the season, Rittenhouse will add cards to the set that will feature game action photos and cards commemorating other significant events during the 2005 season. WNBA fans and collectors will be able to store their set in a custom-designed WNBA collector's album that also features bonus cards. "Getting a complete set of WNBA cards will be an attainable goal for collectors," said Steven M. Charendoff, Rittenhouse Archives Founder and President. "We are planning some very exciting changes to the program from what had been offered in the past." "Rittenhouse Archives is well-known for their successful science-fiction and fantasy cards and we are looking forward to creating a comprehensive and unique set of trading cards for the WNBA's growing fan base," said Lisa Goldberg, NBA Senior Director of Trading Cards and Memorabilia. 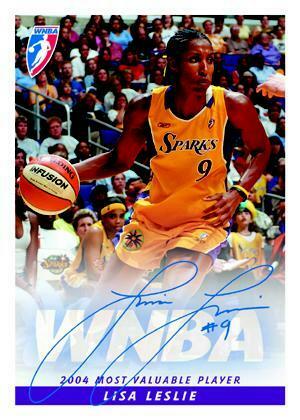 The WNBA will tip off its ninth season Saturday, May 21, 2005 with a full slate of exciting match-ups, including ABC's broadcast of the defending WNBA champion Seattle Storm against reigning MVP Lisa Leslie and the Los Angeles Sparks at Key Arena beginning at 4 p.m. EDT. Opening day will also pit the 2004 WNBA runner-up Connecticut Sun vs. the Detroit Shock at the Palace of Auburn Hills, the Houston Comets vs. the San Antonio Silver Stars at the SBC Center, the Phoenix Mercury against the Sacramento Monarchs at America West Arena and the Charlotte Sting hosting the Washington Mystics at the Charlotte Coliseum. For more information on the WNBA, visit wnba.com.